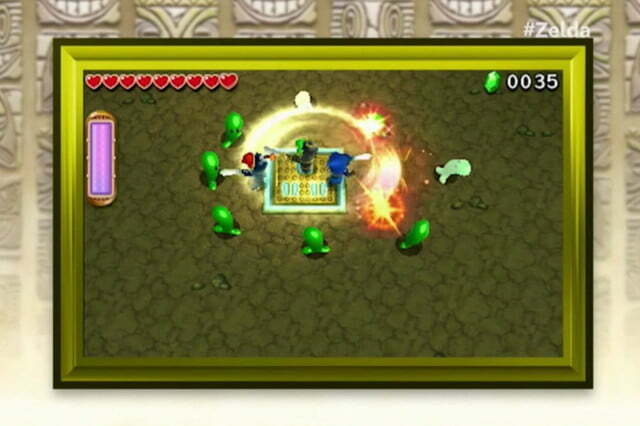 Get ready to explore the world of Hyrule with your friends in The Legend of Zelda: Triforce Heroes. 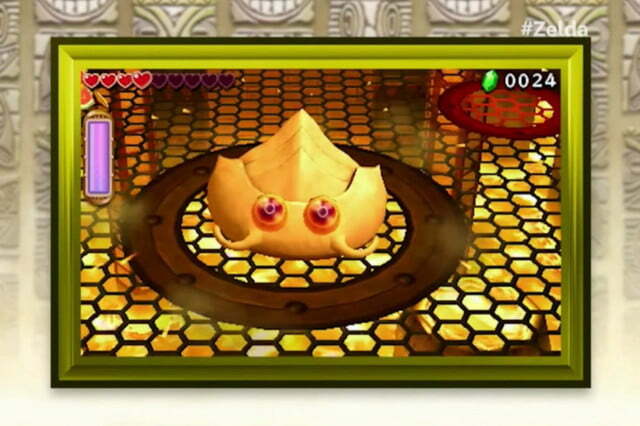 This multiplayer action adventure game is coming to 3DS systems Fall 2015. 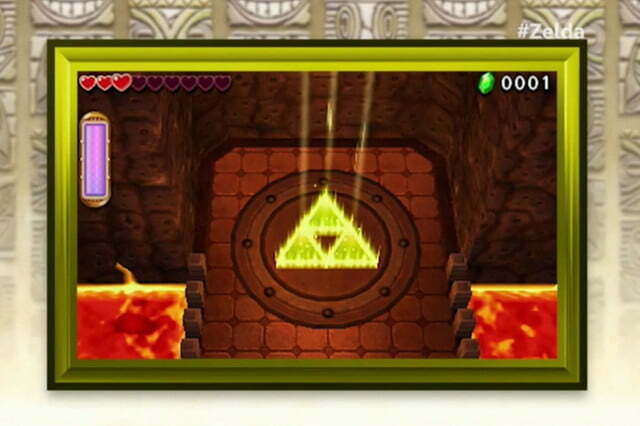 The game was announced during Nintendo’s digital E3 event, where Zelda series producer Eiji Aonuma and Triforce Heroes director Hiromasa Shikata detailed the game’s cooperative puzzle-solving gameplay. 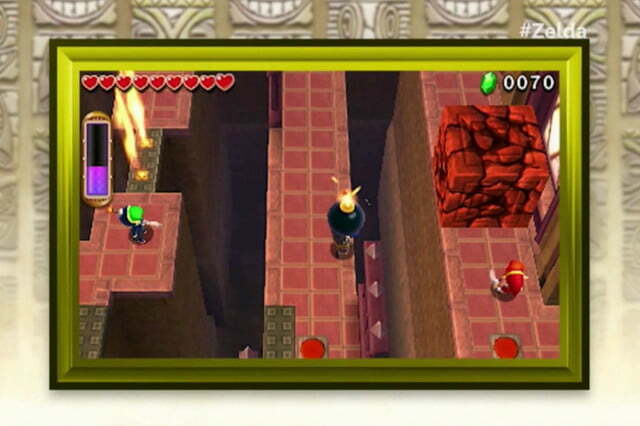 Up to three players can team up to take on dungeons in on- and offline play. 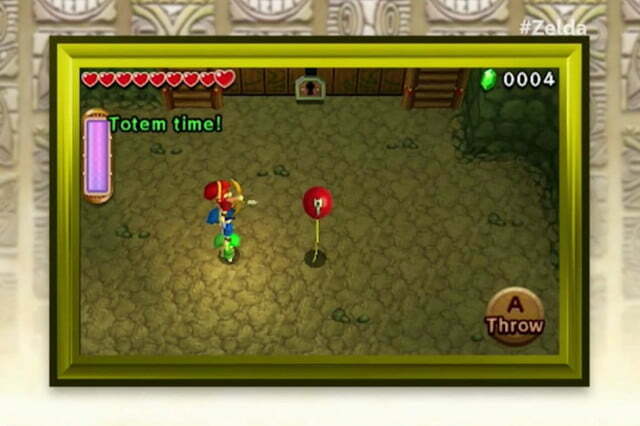 One of the primary methods of cooperation is a mechanic called the “Totem,” where the game’s fashion-savvy characters stand on each other’s shoulders to complete challenges and defeat bosses. Yes, we said fashion-savvy. 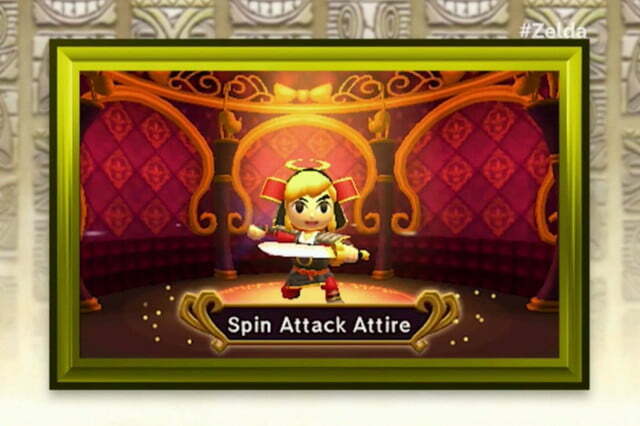 Custom outfits play a major role, with different collectible costumes changing the gameplay by giving your character new abilities. 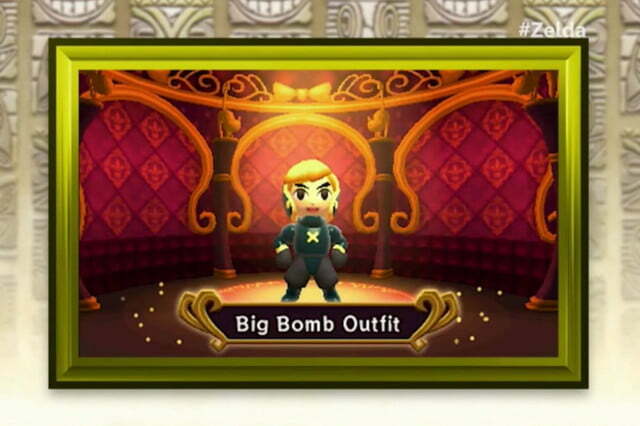 Classic Zelda characters take can be decked out in cool outfits, such as dresses and Samurai armor. 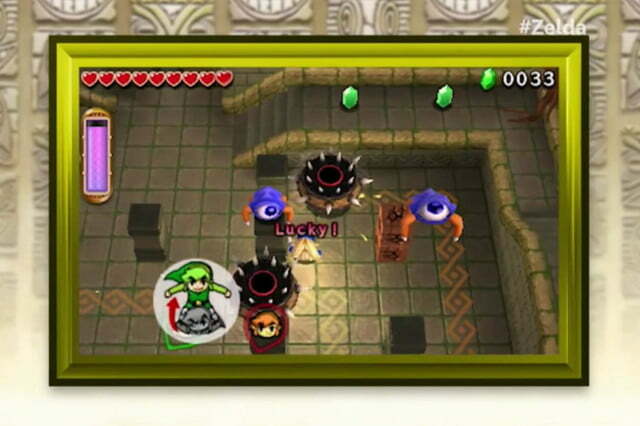 While multiplayer is the major focus, a single player mode will have two “doll” characters team up with Link, and the player can switch between the three characters to solve puzzles. 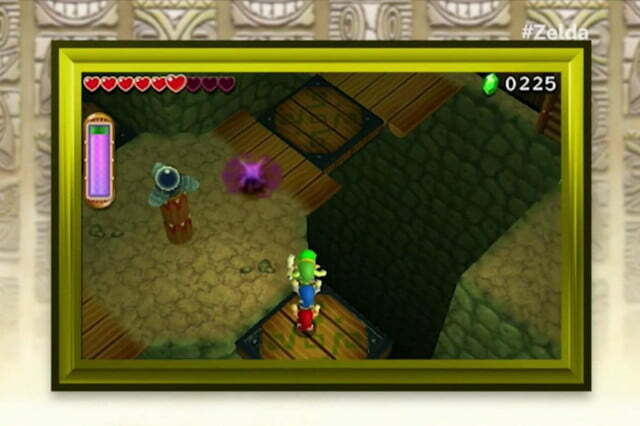 In addition to this all-new multiplayer Zelda adventure, a 3DS version of Koei Techmo’s Wii U action Dynasty Warrior-meets-Zelda game, The Legend of Zelda: Hyrule Warriors Legends, is coming in Q1 2016, with new Wind Waker characters Tetra and King Daphnes exclusive to the handheld version. 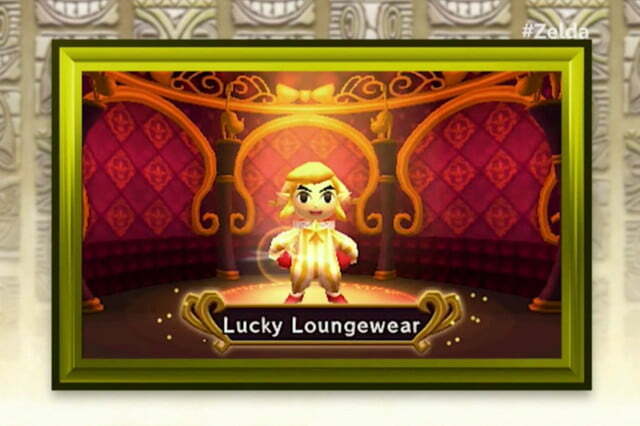 Buying this new 3DS version of the game will unlock the new characters on Wii U, and the 3DS version will ship with all the Wii U DLC content included.